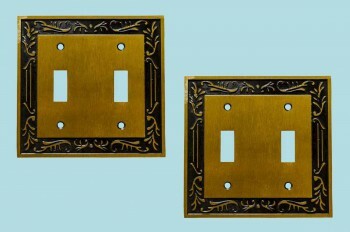 (2) pieces Victorian Antique Brass Decorative Switchplates. 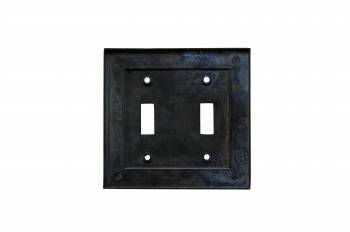 Double (2) toggle, two (2) gang switch plate. 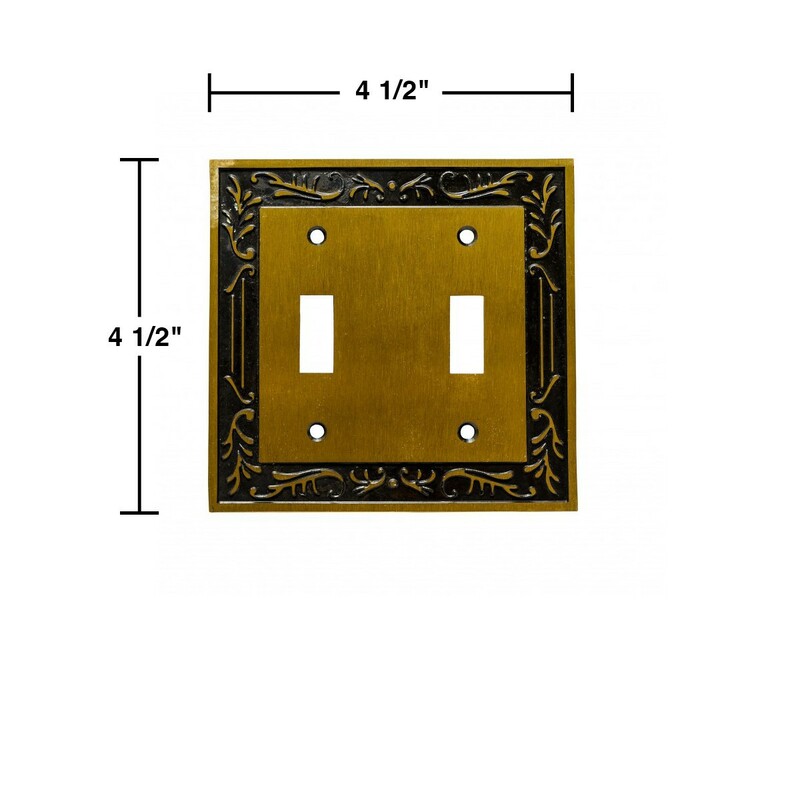 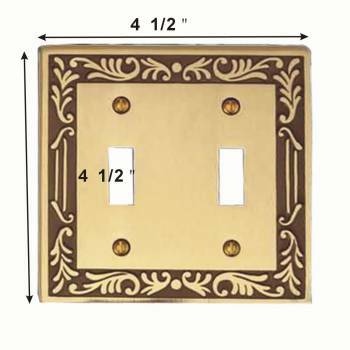 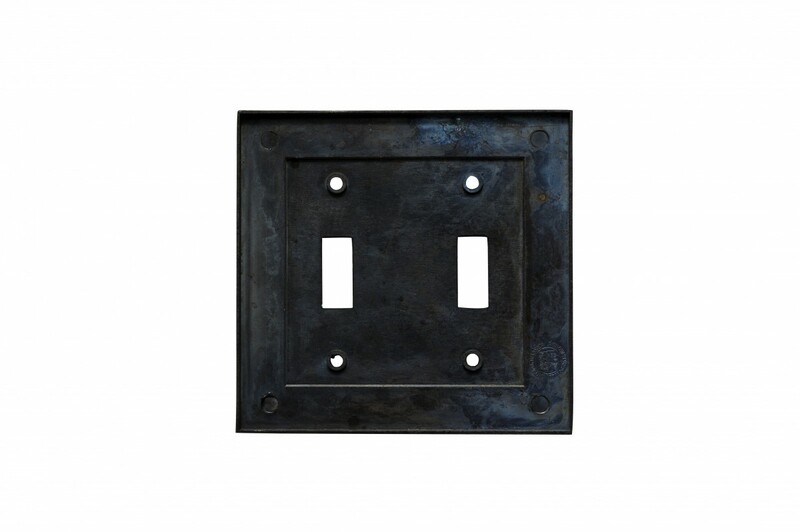 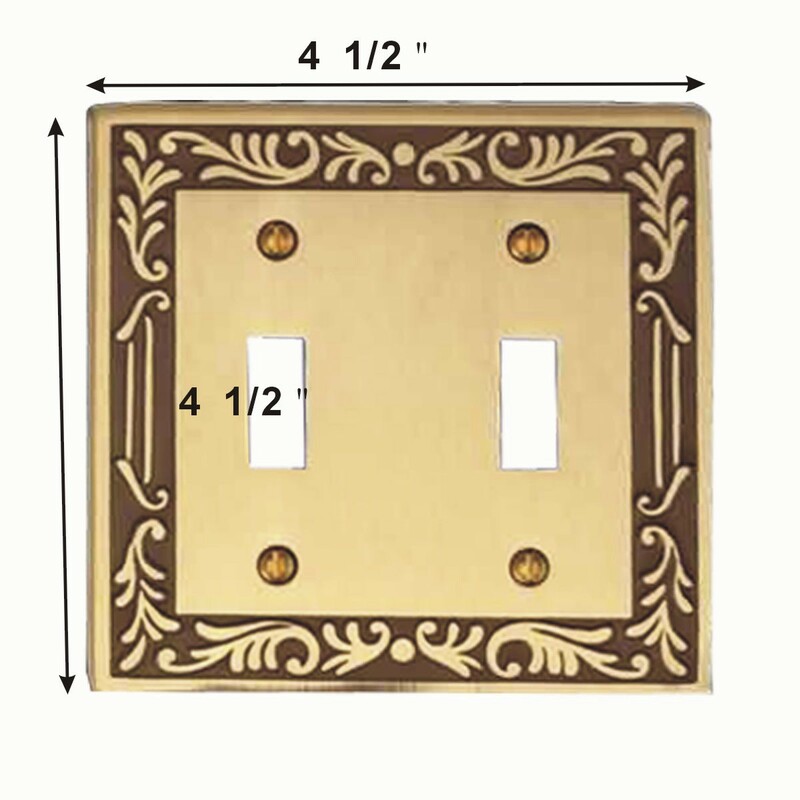 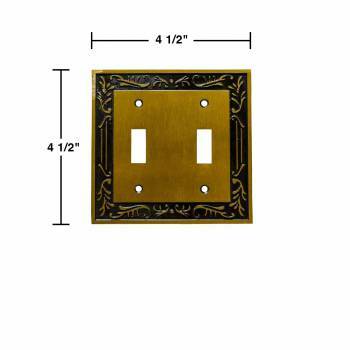 This elegant solid decorated brass wallplate features an antique brass finish.